Make your Christmas anthem planning a snap for years to come with this collection of 12 delightful and inspiring carol settings from some of this generation's leading arrangers of sacred choral music. 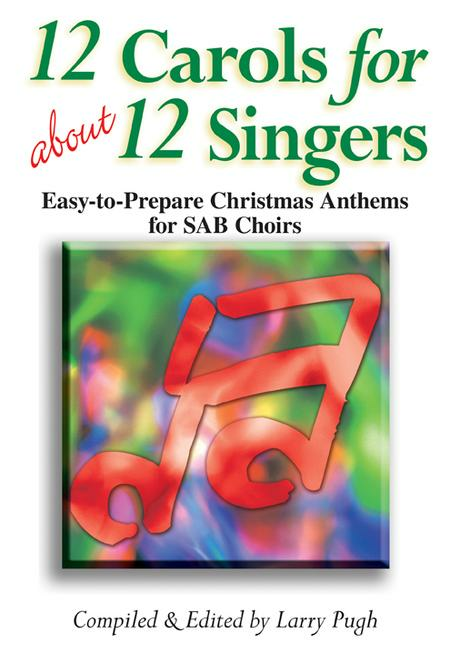 All are crafted with the needs of the smaller choir in mind, making this a worthy addition to our popular and best-selling "For About 12 Singers" series. In keeping with that goal, we're pleased to offer reproducible Part-dominant Rehearsal CDs. It is a valuable learning aid for non-music-reading singers and a rehearsal aid for harried directors during the busy Christmas season. A Performance/Accompaniment CD with full performance recordings and accompaniment tracks is available to facilitate performance rounds out this useful and sparkling collection.